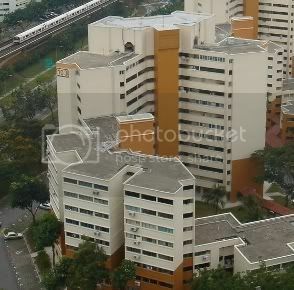 HDB's reply on rental flats is unclear. Lisa Li. I refer to Ms Kee Lay Cheng’s letter ‘Priority given to truly needy’ in the TODAY paper (13 Jan 2010) in reply to Mr Leong Sze Hian. She also stated that “any person, Singapore citizen or otherwise, can rent similar flats from the open market without waiting.” Perhaps I have misunderstood Ms Kee, but I find that she has conflated two separate points. Under the Public Rental Scheme, first-time Singaporean applicants with a household income of $800 or below may be able to rent a 1-room flat from $26 to $33. According to the HDB website, under this same Public Rental Scheme, the estimated waiting times from the date of application to the date of the first selection exercise are as follows, for 1-room flats: Ang Mo Kio (25 months), Bukit Merah/ Jurong (19 months), Bedok/ Tampines (24.5 months), Woodlands (22.5 months). Ms Kee’s two points that needy Singaporeans can rent flats for as low as $26, and that Singaporeans need not wait to rent flats appear to both be true. However, it also appears that they cannot both be true at the same time. When Ms Kee refers to Singaporeans being able to rent flats without waiting, I suspect she is referring to Singaporeans renting flats at the “normal”, more expensive price on the open market, and not the $26 – $33 price under the Public Rental Scheme. She appears to have misunderstood Mr Leong’s point, which is that the rental price of $140 in a shared HDB flat, from EM Services, is an option only for foreigners and not open to Singaporeans. Furthermore, with two HDB blocks in Toa Payoh set aside for rental to foreign employees from the Integrated Resorts ( ‘HDB flats for IR workers’, The Straits Times,18 December 2009), it seems that these foreign employees would not have to wait an average of 2 years for rental application. I believe Mr Leong’s point was that while foreign employees seem able to rent cheap flats quickly, needy Singaporeans have to wait approximately 2 years if they apply for flat rental under the Public Rental Scheme, without even a certainly of success. When I visited some homeless Singaporeans of all ages living in our public parks in December 2009, I found out that many had their flats repossessed, or their application for 1-room rental flats denied. Some were told that there was no room in the shelters for them. Some were waiting for their 1-room rental application to be processed – a process that could take almost 2 years, according to the HDB website. I am definitely not suggesting that foreign employees be left homeless or given housing with poor conditions. I am merely concerned that there are many Singaporeans who are left homeless and who do not seem to be able to rent a cheap room quickly. It is only humane that Singapore ensures a reasonable standard of living – at least basic necessities and a roof over one’s head – for everyone whom it has welcomed to its shores, Singaporeans and non-Singaporeans alike.